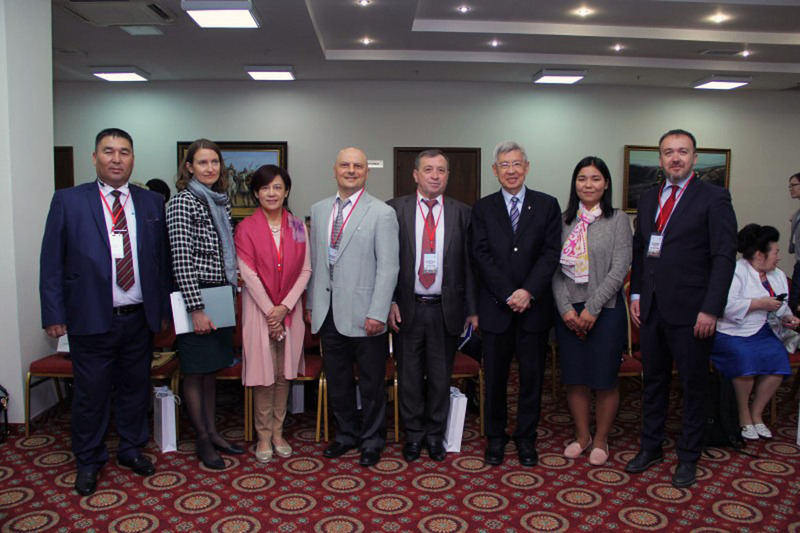 From 31 May to 1 June, UNESCO participated in the International Scientific and Practical Conference in Astana on "Continuous Education for Sustainable Development: New Challenges", organized by the National Academy of Education, organized by the National Academy of Education. The UNESCO Institute for Lifelong Learning (Germany, Hamburg) provided an overview of global processes on adult education, including on "The Sixth International Conference on Adult Education (CONFINTEA VI), Recommendations for adult learning and education 2015" and the Third Global Report on Adult Learning and Education. The UNESCO Almaty Cluster Office presented the Sub-Regional Study on Lifelong Learning in Central Asia with a focus on Kazakhstan. 4) Human. Environment. Information society. As a result, more than 100 reports were presented during the round tables. Representatives of the the Ministry of Education and Science of the Republic of Kazakhstan, public professional associations pedagogical staff from all levels of education, as well as foreign scholars and international experts in the field of education (from Russia, Tatarstan, Belarus, Ukraine, Uzbekistan, Tajikistan, Hong Kong, France, etc.) participated at the conference.